Here, you’ll find anything from birdhouses to blacksmithing, benches repurposed from old Chevy truck floors to mid-century furniture, and antique typewriters to coats fashioned from scraps of old sweaters. 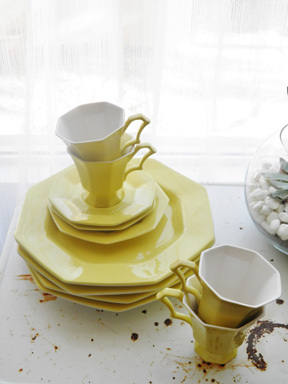 “We’re looking for quality things put together well, with a good design sense—things you don’t usually see,” says Lori. “We call our vendors ‘creative scientists’ because they’re out there in their basements, or their ‘labs,’ creating and innovating things that other people are going to pick up on; it’s going to be a trend.” Some items are salvaged, while others are peculiar finds spotted by an eagle-eyed picker. 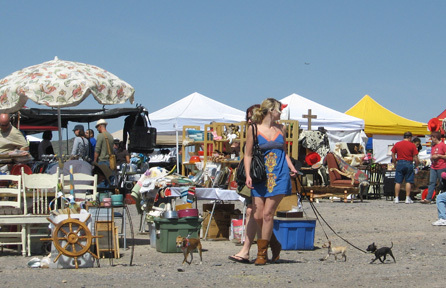 Here’s what you can expect during your first visit to this unique flea market. At The Big Heap, there’s plenty available to delight your indie tastes, and you’re guaranteed to find several pieces that inspire or intrigue you, or ones that speak to your own particular style. 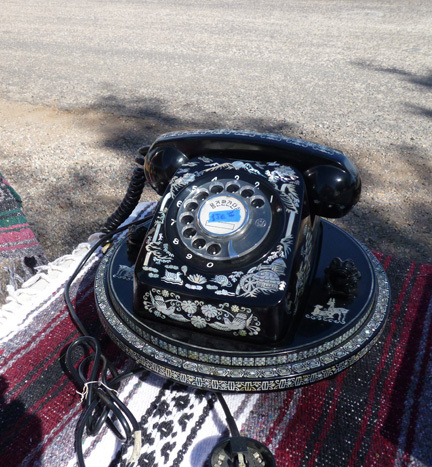 • What you’ll find here: A variety of vintage furniture, mid-century modern pieces, jewelry made of remnants of other vintage jewelry and other vintage items, upcycled clothing, vintage clothing, architectural salvage, birdhouses and other odd finds. • What you won’t find here: Bath and body products, scented candles, fine antiques, fine art, dreamcatchers, collectibles, figurines, guns or holiday-themed ephemera; and nothing new or mass-produced. • Live entertainment: A local bluegrass band performs during the festival to entertain the masses while they find what strikes their fancy. • Dining: As part of the larger Cave Creek Thieves Market, food trucks are on hand to cater to your every foodie desire. This entry was posted in Hot Collectibles by Flea Market Decor. Bookmark the permalink.